I have relatives who live in s number of suburban towns. They have lived there for years, and like so many of my family their lives are bound up in what happens in their communities. One of the major changes that have occurred in many of the suburban towns I passed through over the years are the number of Latino businesses that have sprouted up. From grocery stores to bookstores to real estate agencies to restaurants and bars, there are many Latinos businesses that cater to all no matter which town you pass through. In fact, there are probably more Latino businesses in the suburban towns combined than in the City of Chicago itself. While Latinos make up a good percentage of the city’s population, there are even more Latinos who have moved out to the suburban towns to start new lives there. There are four significant facts about the influence Latinos have had on the State of Illinois. First, the Latino population has almost doubled within the last decade. It has gone from 1.53 million in 2000 to 2.03 million in 2010. Second, the Latino population has grown by leaps and bounds in even some of the furthest suburban counties where their numbers were not significant a decade ago. In Kane County (where the major cities of Aurora St. Charles are located), the number of Latinos has increased 65 percent overt the past ten years, and in Kendall County the Latino population has doubled. Third, the increase of the Latino population has helped Illinois’ overall population growth by 3.3 percent. Finally, the sheer number of Latinos in the suburban towns means that many townships’ voting districts will be re-zoned to include more voters. And with more Latino voters will come greater clout for Latino communities in these suburban townships as a whole. Not only can Latino businesses be found just about everywhere, but the sheer number of Latinos working in non-Latino businesses has exploded. 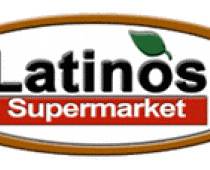 To give one example, in a well-known Italian American chain store super-market called Caputo as many as half the staff are Latino. Many Latinos are also in management of non-Latino businesses. Latinos are very much a part of the Illinois suburban landscape as has been the case of many immigrant and American-born groups past and present. One thing is for sure, and that is the State of Illinois would be far, far poorer as a whole without Latinos.